What a treat's in store from Chantecaille! The Fall 2012 runways brought a strong, powerful woman with a deliberate sensuality. Grounded in sartorial touches, elevated by sumptuous fabrics and rich embellishments of crystals and metals, her look is luxurious and impactful. The new silhouette is elongated with punches of volume. The colors range from vibrant and jewel-like to moody shades of greens and earth tones. The makeup is simple, yet deliberate, hand-selecting a feature to highlight with one color, like a sweep of copper across the lid. The simplicity plays the perfect counterpart to layers of tailored tweed and romantic velvet and lace. 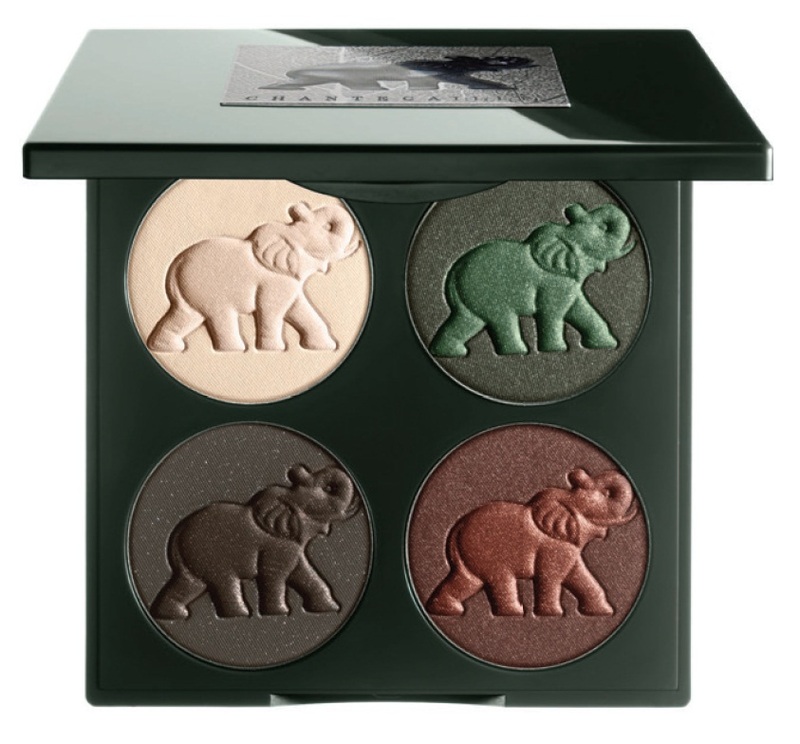 L'Éléphant Palette ($82, refillable) was inspired by the fall runway trends and the tireless efforts of The David Sheldrick Wildlife Trust. 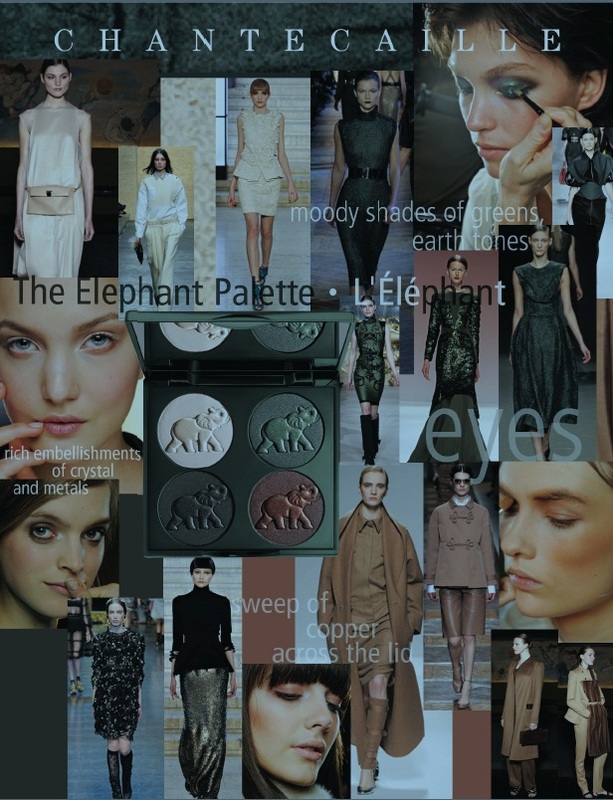 Chantecaille created L'Éléphant Palette, a lustrous eye palette that fuses trendy colors from the catwalk and the Kenyan grasslands with simplicity in an innovative and wearable way. The palette features Ivory, a soft, pearly beige inspired by the African elephant's tusks, at the top left. 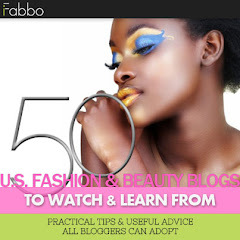 Grasslands, at top right, is a trendy green inspired by the color of the lush savannah grass after the rainy season. Red Earth, lower right, is the eye color of the fall runways - a strong copper that mimics the rich, red color of the African cliffs. Iron Ore is a glistening deep grey liner with flecks of gold. It mirrors the way the mineral shimmers in the bright African sunlight. Five percent of all proceeds from L'Éléphant Palette will be donated to The David Sheldrick Wildlife Trust, one of my favorite charities. I've adopted orphaned elephants, donating to help the trust take care of them. Chantecaille first became aware of the Kenyan-based David Sheldrick Wildlife Trust through a very moving article in National Geographic. Established in 1977 by David Sheldrick's wife, Dame Daphne, the trust embodies her life-long mission and devotion to rescuing and fostering orphaned elephants in Kenya. A pioneer in understanding elephants, Daphne was the first person to successfully hand-rear a newborn fully milk-dependent African elephant. Dame Daphne's keen ability to identify their needs for survival, from the formula they drink to the emotional nurturing they require, has helped save African elephants from extinction. Her life's work has proven that elephants and humans are extremely similar, from their emotions to family structure. Both species share a mutual need for support and love, with baby elephants taking up to four years to be weaned and needing almost 10 years of care before they are able to join their wild elephant families. Since the trust was established in Tsavo National Park, over 80 elephants have been successfully released back into the wild. Elephants are the planet's largest living land mammals; they symbolize strength, wisdom, and intelligence. Sadly, the threat to elephants from ivory poachers is greater than ever, with an estimated 38,000 African elephants killed annually, a rate that, if left unchanged, will see elephants wiped out by 2025. Please don't buy ivory! To help save this species from extinction, in addition to their contribution for every palette sold, Chantecaille has printed a QR code on the back of the palette box. Scan the QR code with a smart phone's QR scanner app to be directed to the screen that provides a link to foster an orphaned elephant. On the David Sheldrick Wildlife Trust's interactive site, you can choose an orphan based on origin and age. As a foster parent, you will receive a fostering certificate with a detailed profile and photograph of your adopted orphan. You will also be granted access to your baby elephant's Keeper's Diary, which is filled with daily calendar entries and monthly photos. Along with the update, you will be sent a collectible, monthly watercolor of your adopted elephant hand-painted by the talented Angela Sheldrick. I can personally tell you it's a rewarding experience. I'll be back with the rest of the Chantecaille Fall 2012 Color Story. You should see L'Éléphant Palette arrive soon - both online at Chantecaille's Web site and at Chantecaille counters - in August I'll bet, even though the publicity says September. I'm excited. I am getting this one for sure! Me too, Tracy. I suspect I'll purchase three or four. I usually do with Chantecaille's palettes. When I first saw the picture for the elephant palette, I knew it would be a "must have" for me. Those are my kind of colors and it's always nice that Chantecaille donates a bit to help protect our wildlife--I just wish it were more. Whenever I get one of these special palettes from Chantecaille, I always send off a separate check to the organization with a more meaningful donation. The promo picture illustrating Olivia's look for the safari collection is beyond gorgeous and captures the theme beautifully. 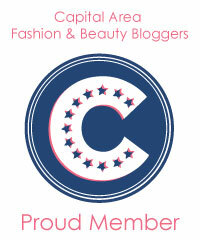 If you haven't seen it yet, ladies, go on-line and check it out. Love, love, love! Me too, Eileen, and I hope you will make a donation. 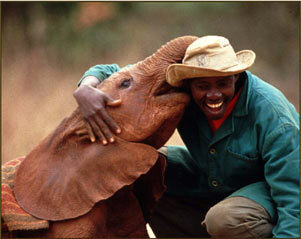 I am proud to be a David Sheldrick Wildlife Trust supporter. Hi Beauty and the Scientist! Chantecaille's eye shadows are so perfect, an these new shades look amazing. Sigh.....as much as I adore the look of Chantecaille, it's a brand that is so difficult to get that I'm starting to ignore it. Thank you for the temptation, though! Well, Lovethescents, you have a blogger friend who could get it for you.